Located on the south coast of Portugal, the main draw of holidays in the Algarve is its pristine beaches. Drive along the coastline and find your own secluded spot or quiet bay or enjoy the lively and bustling sweeping golden bays which are backed by family friendly tavernas and offer water sports galore. 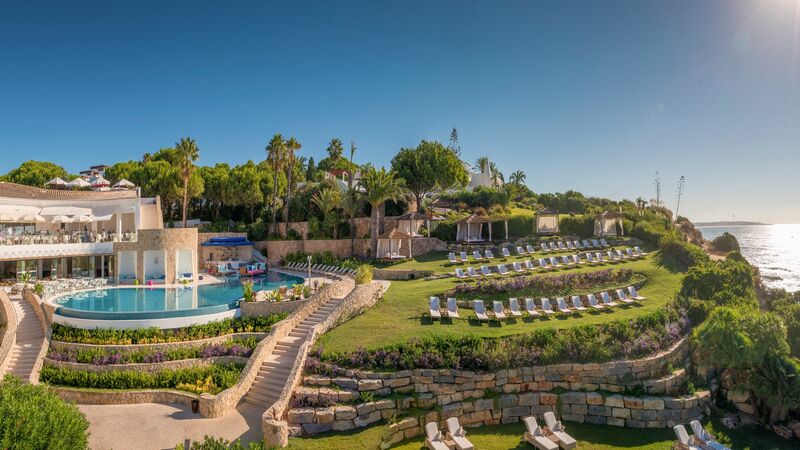 Whether you’re travelling with the family, as a couple or want to explore the golf, spas and more you’ll find the ideal holiday in the Algarve. At Sovereign we’ll help you choose the perfect base from which to explore. The sleepy village of Porches is full of local arts and culture, as well as pretty little streets with family run cafés and bars and quiet coves full of loungers and parasols. 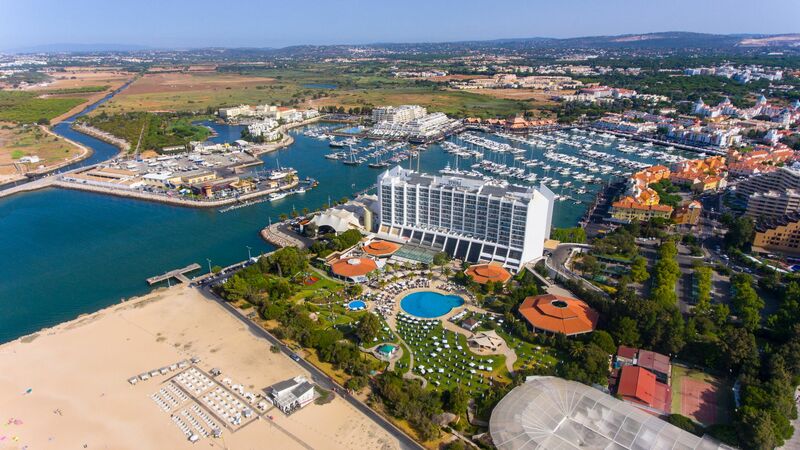 Vilamoura offers a more cosmopolitan atmosphere, with its bustling marina where luxury yachts and little fishing boats moor side by side, and two beaches to choose from. Whether it’s a relaxing holiday in a sleepy little village or an upmarket spa or golf retreat, you’ll find your perfect luxury holiday in the Algarve. Spend lazy days on the golden sands of the beach, or choose from one of our many hand picked hotels. Here you’ll find infinity pools, elegant interiors and menus designed by Michelin starred chefs. Full service spas offer the chance to leave feeling rejuvenated and refreshed while there are professional standard golf courses dotted along the coast. Soak up the sun as you enjoy the views of the glittering sea. Explore pretty old towns which date back to ancient times and former fishing villages which retain much of their whitewashed beauty. Drop into pretty little churches and admire views of the sparkling ocean. Take a romantic boat trip along the coastline and stop off in secluded coves where you can enjoy a picnic lunch or snorkel with the exotic fish. With such a short flight time from the UK to the Algarve this is the ideal place to spend a few weeks as a family. Play golf and tennis, hike or bike through the local countryside or hop from fishing village to fishing village and find your favourite. Olhos d’Agua village is a laid-back alternative to neighbouring Albufeira – it offers more fishing boats than sunloungers along the sandy beach. There’s a scattering of restaurants and bars which perk up post-sunset. Porches has all the hallmarks of a traditional Portuguese parish. Fishing boats haul their catch from beach to restaurant, pottery workshops speckle the main road, and pretty churches glow dove-white. 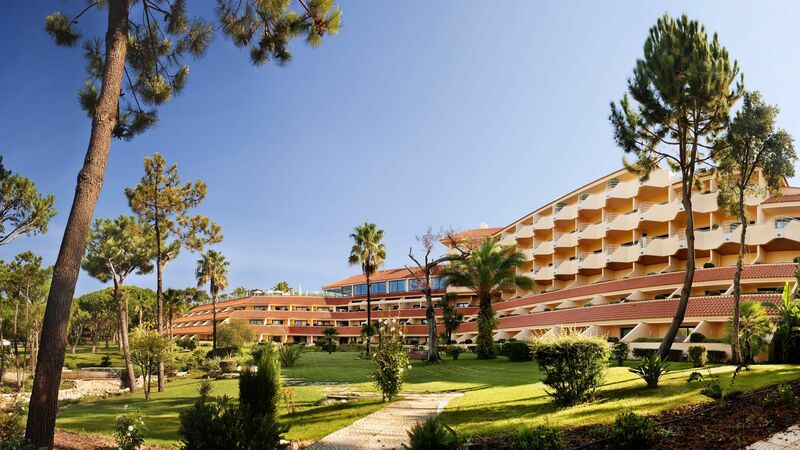 Praia da Falesia is a relaxed town with a corker of a beach, plus a backing of five-star hotels and designer golf courses. Location-wise, it’s a suburb of buzzing Albufeira. 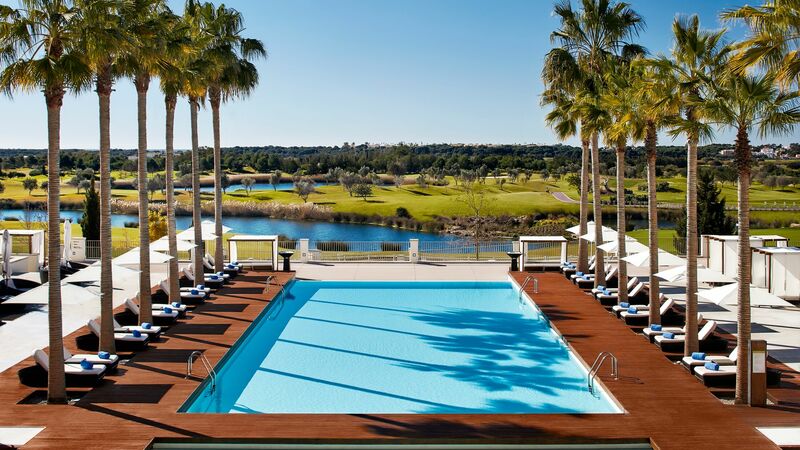 Quinta do Lago is a beach resort with great golfing credentials. The setting? Ria Formosa Nature Park, where wooden bridges sweep over the estuary and dunes to the sandy beach. 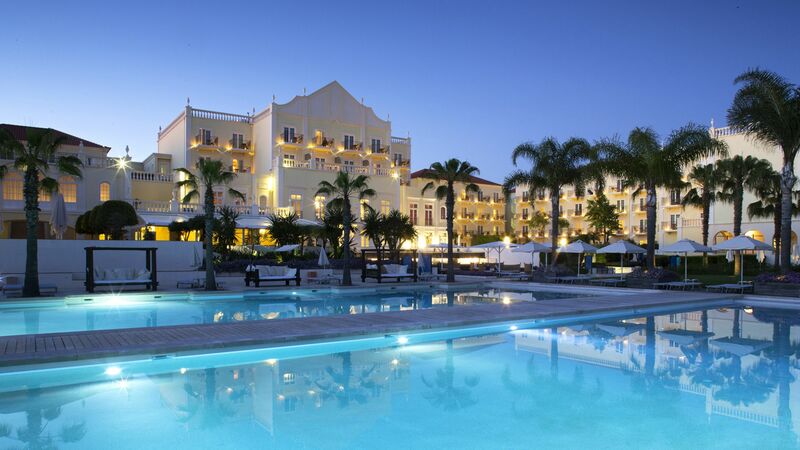 Vilamoura, in the central Algarve, has been a glamorous port since Roman times. These days, a superyacht-speckled marina, casino and golf courses accessorise this beachside town. The Serra de Monchique mountains are the border between the Algarve and next-door Alentejo (in Portuguese: beyond) region. Head for the Monchique area and you can dip a toe in the spa waters at Caldas de Monchique, stroll around the cobbled streets of Monchique town, and tour the Moorish castle at Silves. Go in the summer for sun-dappled walks around the chestnut forests, in autumn to see the leaves turn bright amber, or in spring for fresh, clear views over the mountains and Algarve. The Algarve is prime golfing territory, with more than 40 courses to pick from, including the world-class San Lorenzo, where the 18 holes are laid out in a figure of eight. Or there’s always the Pinhal Golf Course in Vilamoura. It goes all-out on the scenery, with sweeping views of the sea and greens that roll out between corridors of umbrella pines. Meanwhile, Espiche Golf goes down the eco-friendly route, offering an award-winning clubhouse serving local, organic food – from rustic farmhouse baguettes to Portuguese tapas. Lisbon, the capital city of Portugal, is just a few hours' drive away from Algarve. Start your day by grabbing a pastel de nata (custard tart) to go and explore the backstreets of the city's old quarters. If your feet start aching, hop on board one of the iconic yellow trams that trundle up the steep, cobbled streets. Some run through Bairro Alto – a collection of neighbourhoods piled high with fado houses, independent shops, trendy wine bars and Baroque churches. The cuisine of the Algarve can be described as Mediterranean, with a spicy twist – in addition to a daily supply of fresh seafood, you’ve got piri piri spices, African influences and even Indian-inspired curry. Being on Portugal’s lushest coast, expect seafood in bucket loads – clams, oysters and simply seasoned bream are favourites. If you want to eat like a local, do as the fishermen do – sardines fresh off the boat, grilled whole with a regional salad of tomato, raw onion, cucumber and oregano. Where are the best golf courses in the Algarve? I love spending time on the beach and in the Algarve they have the most gorgeous, secluded sandy beaches. I also love the contrast between the Algarve’s modern marinas and traditional fishing villages.